Buying products made in America should be reward enough. It demonstrates a commitment to companies that keep their manufacturing jobs in the country. From now through the end of July, however, you can also get free ice cream. And at the end of the day, what's more important? Acco Brands are putting their American-made products front and center, offering a rebate for a Dairy Queen gift card that's worth up to 10 percent of the original purchase! 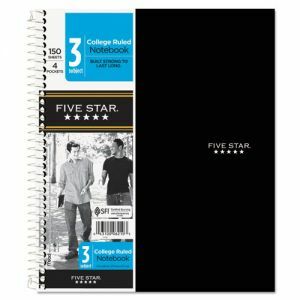 The brands cover a lot of ground, so there are many products to choose from- Quartet whiteboards, Wilson Jones binders, Cambridge planners, Acco paper clips, and Five Star and Mead wirebound notebooks. See their rebate page for full details. That's not all, because Acco has a Facebook page where you can enter for a chance to win a $2500 Backroads gift card to use towards a trip to a national park. First prize in the drawing is a $500 gift card for some fine Omaha Steaks for your next grillout.